BMW exists on the premise that they are the best Marque in the automotive industry. This legendary German Marque is totally committed to manufacturing stunning cars that are efficient and give the drivers the absolute best driving experience, making it an ideal choice for a superb self-drive hire experience. Effortless movement, stunning design, a true masterpiece of motoring engineering. Designed for pure driving pleasure, Signature’s BMW fleet of hire cars deliver on BMW’s promise of German engineering excellence. With effortless movement, stunning design every BMW added to Signature’s self-drive fleet is a true masterpiece of motoring engineering. All our BMWs are selected carefully and are packed full of the latest technological features you’d expect to ensure your drive is powerful and entertaining. Whether you want a coupe or a convertible, our trained advisors are on hand to help you chose the right BMW hire car for your journey. 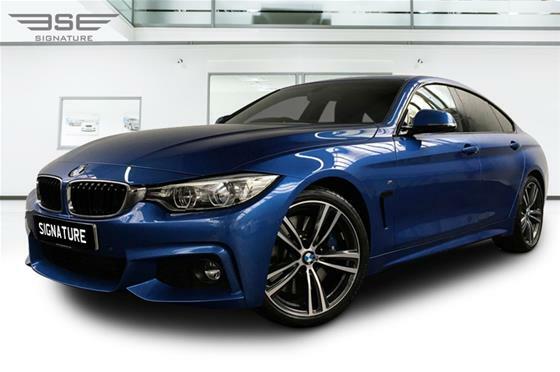 To see which BMW suits your car hire needs, simply click on the model above for prices and further information. Alternatively call one of our experienced customer care advisors on 0207 118 2244 who can talk you through all the benefits of each model we have on fleet in our London showroom. BMW stands for Bayerische Motoren Werke AG, which when translated into English means Bavarian Motor Works, is a German automobile, motorcycle and engine manufacturing company which was founded in 1916. It also owns and produces the MINI brand, and is the parent company of Rolls-Royce Motor Cars. BMW is known for its performance and luxury vehicles, and their blend of style and driver appeal has always made it a class benchmark in the car industry. Their cars are impressively refined powerful cars with gutsy performance engine. At any speed BMW’s provides strong pace in an effortless manner. BMW Group employs c. 8,000 people in the UK motor industry (three main production plants – Oxford, Hams Hall, Rolls-Royce Motor Cars Limited, a component supplier – BMW Group Plant Swindon, sales and marketing, (inc. financial services) plus an additional c. 11,000 in its 148 strong UK dealer network. BMW’s are also affectionately known as Beemers with English slang terms Bimmer and Bee-em also variously used for BMWs of all kinds, cars, and motorcycles. 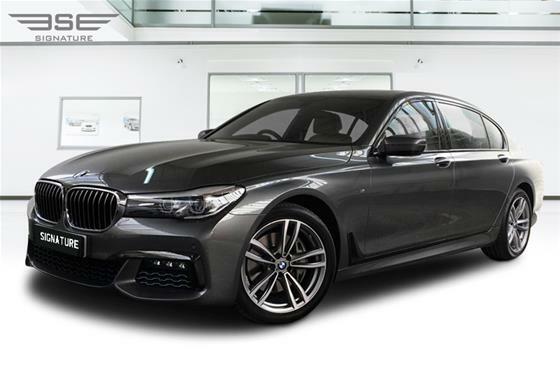 BMW has always stood for efficiency and when you factor in corporate BMW car hire, it’s no surprise that businesses and organisations opt for BMW when they want to make an impression. The Marque’s cars are also perfect for special fun occasions like Valentine’s Day or birthday parties. BMW is for car drivers who pride technological innovation above everything else. You know you have the best when you are simply driving the most forward-thinking car on the motorway. With technology like Efficient Dynamics and Clean Energy, you are entering a futuristic world of motoring that captures the imagination which is the ultimate way to step into a galaxy of ultra-engineered cars. After World War I, BMW was forced to cease aircraft engine production by the terms of the Versailles Armistice Treaty. The company consequently shifted to motorcycle production in 1923 once the restrictions of the treaty started to be lifted, followed by automobiles in 1928–29. BMW's first significant aircraft engine was the BMW IIIa inline-six liquid-cooled engine of 1918, much preferred for its high-altitude performance. With German rearmament in the 1930s, the company again began producing aircraft engines for the Luftwaffe. By 1959 the automotive division of BMW was in financial difficulties and a shareholders meeting was held to decide whether to go into liquidation or find a way of carrying on. It was decided to carry on and to try to cash in on the current economy car boom enjoyed so successfully by some of Germany's ex-aircraft manufacturers such as Messerschmitt and Heinkel. The rights to manufacture the Italian Iso Isetta were bought; the tiny cars themselves were to be powered by a modified form of BMW's own motorcycle engine. This was moderately successful and helped the company get back on its feet. In 1992, BMW acquired a large stake in Californian-based industrial design studio DesignworksUSA, which they fully acquired in 1995. In 1994, BMW bought the British Rover Group, which at the time consisted of the Rover, Land Rover and MG brands as well as the rights to defunct brands including Austin and Morris, and owned it for six years. By 2000, Rover was making huge losses and BMW decided to sell the combine. The MG and Rover brands were sold to the Phoenix Consortium to form MG Rover, while Land Rover was taken over by Ford. BMW, meanwhile, retained the rights to build the new MINI, which was launched in 2001. Chief designer Chris Bangle announced his departure from BMW in February 2009, after serving on the design team for nearly seventeen years. He was replaced by Adrian van Hooydonk, Bangle's former right hand man. Bangle was famously known for his radical designs such as the 2002 7-Series and the 2002 Z4. In July 2007, the production rights for Husqvarna Motorcycles was purchased by BMW for a reported 93 million euros. BMW Motorrad plans to continue operating Husqvarna Motorcycles as a separate enterprise. All development, sales and production activities, as well as the current workforce, have remained in place at its present location at Varese. The origin of the BMW logo is under a little dispute! 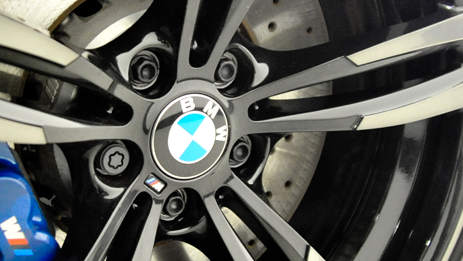 Some believe the circular blue and white BMW logo or roundel is portrayed by BMW as the movement of an aircraft propeller, to signify the white blades cutting through the blue sky – an interpretation that BMW adopted for convenience in 1929, twelve years after the roundel was created. BMW has a history of success in Formula One with their powered cars winning 20 races. In 2006 BMW took over the Sauber team and became Formula One constructors. In 2007 and 2008 the team enjoyed some success. The most recent win is a lone constructor team's victory by BMW Sauber F1 Team, on 8 June 2008, at the Canadian Grand Prix with Robert Kubica driving. BMW was an engine supplier to Williams, Benetton, Brabham, and Arrows. Notable drivers who have started their Formula One careers with BMW include Jenson Button, Juan Pablo Montoya, and Sebastian Vettel. In July 2009, BMW announced that it would withdraw from Formula One at the end of the 2009 season. BMW also has racing success in both the Touring Car circuit and Rally driving circuit. In a chase scene on the Berlin Avus, the Police, who had 5 Series BMWs cars and a BMW motorcycle, are in pursuit of James Bond, who is driving a stolen Alfa Romeo on a breakneck ride through the streets of Berlin. In summer 1994 GoldenEye was in preparation, and cars were an important element for its success. After the producers visited BMW’s design center in Munich, the decision was made to use the Z3 roadster as James Bond’s official car. It was the first German car that Bond drove as his official car. Important factors in the decision were certainly also the fact that, in the meantime, BMW had also become English – by purchasing the Rover Group – and that the car was produced in the U.S. plant in Spartanburg, which gave the car an international character. Thanks to the large amount of attention that the Z3 attracted; both partners were interested in continuing the cooperation. On April 23, 1997, the announcement was made in London that the Bavarians would again equip Bond with an official car. The involvement was actually in two parts. First, in the scenes from Hamburg, BMW 750iL models with aspen silver metallic paint are part of the action. The second part of the Bavarian participation involved the delivery of BMW R 1200 C Cruiser motorcycles, the first chopper that the company from Munich had ever built. With this ivory-colored bike, Bond and his ally Wai Lin (the Malayan actress Michelle Yeoh) flee from the press headquarters of media mogul Elliot Carver (Jonathan Pryce). In the 19th 007 film made by EON Productions Ltd., The World Is Not Enough, vehicles from BMW again made a special appearance. One particular highlight was the deployment of the Z8 sports car, with which Bond – played for the third time by Pierce Brosnan, went to the front. This time he drives a car with silver metallic paint, black leather interior trim, and a whole series of extras.